It’s important to understand that God has a plan for you. You don’t have to make your own plan; draw near to God and learn to discover what He has already planned for you. Pastor Priji: What was your personal journey of getting to know God? How did you decide to serve Him? Jason: I grew up in a Christian home filled with the gifts of the Spirit. From a young age I observed my dad moving in the gifts of the Spirit. As I grew older, I began to walk away from God to pursue my professional interests. I sensed God calling me back but I wasn’t ready and went on to complete my degree in Electrical Engineering. But the calling of God came so strongly that I realized that if I didn’t respond, I would be miserable doing anything else. This was when I was 23 years old. Pastor Priji: We can never make a plan that is better than God’s plan. There are many young people asking God for the next step and if they are called for ministry. How do you discern the call of God over your life? Jason: Always consider where God’s peace is. Learn to abide in that place of perfect peace and be led by that peace. There is a time to every purpose that God has and one of the most important factors is being able to recognize that time. Pastor Priji: Peace in your heart is definitely a perfect indicator. What would you tell those who have found that peace – what should be their next step in ministry? Jason: The Bible talks about the dull axe that takes more strength to cut down the tree. Wisdom would teach us to take the time to sharpen the axe so that it is easier to cut down the tree. With ministry, preparation time is very important. Secondly, find a place where you can serve someone else. You learn more about the practical aspects of ministry by serving another leader and being faithful to that man in his ministry. God will promote you in the right time. Pastor Priji: So, the first thing is to equip oneself. What are some things you would emphasize on before getting into ministry? Jason: Most important things are honesty, integrity and truth. Integrity affects every aspect of your life. Learning to treat others with respect goes a long way in ministry because ministry is all about people. Serving God and serving people. When everything else in life is shaken, the person of integrity will stand. Pastor Priji: Serving helps develop character. But how do you remain patient in the season of waiting and serving when you know that you are called for greater things? Jason: Keep in mind the purpose to which you are called – That is the driving factor. When you love God and are called according to His purpose, He is able to perfect that which concerns you. If you try to do it yourself, it will always create a mess. Learn to stay put, be faithful to God’s plan and to the pastor/ minister God has called you to and keep proper perspective. We evaluate things by numbers and think we are not productive if we don’t see the numbers. But God evaluates based on obedience to everything He said to do. So if He has asked you to be somewhere, even if you don’t see what it’s working in you, it is accomplishing things in your character to prepare you for what God has called you for. 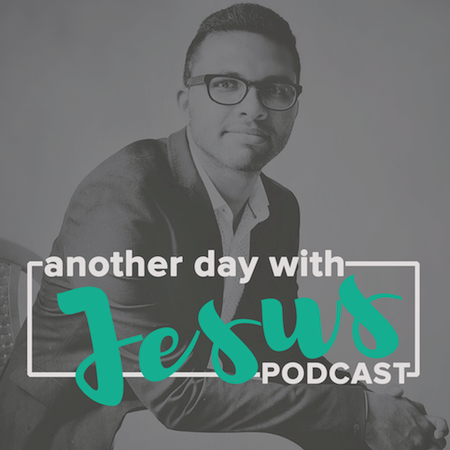 Pastor Priji: Once you pass that season of your life, the story begins to develop and we are constantly looking for support systems, leaders, resources, etc. What would you tell somebody in that season of life? How do you depend on the Lord completely? Jason: Pray, pray and pray some more. Especially in times where transition is coming up, you have to spend more time seeking the Lord, seeking to be in step with Him to know exactly what He wants you to do, especially when choosing people to work with. You need to be like Jesus – He spent the whole night praying before He chose His 12 apostles. Never underestimate the importance and power of prayer. You have to have the mind of Christ and seek Him in prayer. Pastor Priji: We are surrounded by a time and culture where we see many people fail in ministry, marriage, personal life.. We are setting bad examples for the younger generation. One of the reasons is because we have not put safeguards around our life early on. What would you recommend for young people stepping out into ministry? What boundaries should they have? Jason: Always keep the Word of God first in your life. Second, have accountability. There should be people that you can name and say you are submitted to. Third, have one close relationship that you can share anything with. You need to have someone that you can trust and know they have your best interest in mind. When you have a person like that, it will mean an enormous amount when you’re going through things. Pastor Priji: Completely agree. You should also be willing to open up and be transparent at the risk of receiving harsh correction. Is there anything else that is on your heart that you want to release upon the people listening? Jason: Abraham walked in steps. He didn’t make one giant leap. Be faithful to God in the steps that He has you take. Walk in the same faith as Abraham. Learn to see the purpose of God in each season, no matter how you feel. God is always perfecting the plan that He has for you. Commit your ways unto the Lord and it shall be established. Trust in Him, He shall bring it to pass. Don’t be in a hurry. I pray that the Lord would make His purpose clear to you and that you would be willing to do whatever it takes. I pray that you will have the spiritual resources, finances and divine connections required. For those contemplating taking that next step, set yourselves to obey what the Lord has said and may the anointing guide and teach you.